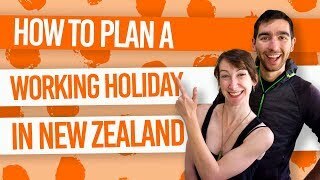 Hike, fly, jetboat, ski and canyon at the end of the Southern Alps! Situated in the southern end of the alps, Mt Aspiring National Park is a must-visit for its epic walking and hiking tracks. One of which includes the renowned Routeburn Track Great Walk. This glacial and mountainous world is home to 100 permanent glaciers. 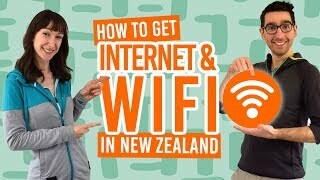 In fact, the area is part of the Te Wahipounamu – Southwest New Zealand World Heritage Area, meaning it is identified as one of the world’s naturally mind-blowing areas! If you find yourself in the Queenstown Lakes district or taking the road between Haast and Wanaka, stop to discover some stunning natural features, like the Blue Pools. The national park is named after Mt Aspiring. At 3,033 metres tall, the mountain is the highest outside of the Aoraki Mt Cook region. Just goes to show that the mountain is “aspiring” to be the highest mountain… Like what they did there. Do the Routeburn Track – an amazing 2-3 day Great Walk. See the glacier features like Rob Roy Glacier and the Blue Pools. Take a winding jetboat ride into the national park. See Mt Aspiring from above through a scenic flight or skydive. Jump off waterfalls by canyoning in the Routeburn Valley. In this mountainous part of the country, you really feel like you are in the mountains of Middle Earth. That’s why taking a multi-day hike is a must. The Mt Aspiring National Park may look incredible in photos but they are no comparison to seeing the real thing. The hikes you can take are the Routeburn Track Great Walk, Rees-Dart Track, and Greenstone & Caples Track. Travel high onto a mountain pass to see awe-inspiring views stretched out ahead of you – this is what New Zealand is all about. This 2-4 day hike takes you on a journey through the Mt Aspiring National Park to the Fiordland National Park. Mountains, beech forest, clear green rivers and lakes: what’s not to love? Start the Routeburn Track from either the Routeburn Shelter, near Glenorchy, or The Divide, on Milford Road. Find out more about the Great Walks in our Guide to the 9 Great Walks of New Zealand. Alternatively, guided day walks are available to give you a taste of a Great Walk without committing to several days! Walk in footsteps of the Maori who used this track to get between Otago and the West Coast. They also used it to gather greenstone in the Dart Valley. Start the tracks from the end of Greenstone Road, 86km from Queenstown. This circuit track takes 4 days, allowing you to see the difference between the wide tussock and beech forested Greenstone Valley and the narrow Caples Valley. 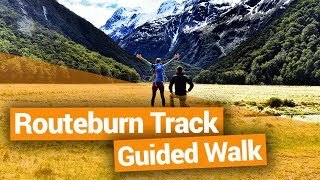 You can even combine this hike with the Routeburn Track, which connects at the Howden Hut. You will need to be reasonably fit to take on this hike. Follow the Rees and Dart rivers on this 4-5 day hike. Starting at the Muddy Creek car park, 68km from Queenstown, you’ll experience farmland, forest, rivers and the Dart Glacier. The walk is quite demanding but with great rewards. Along the way you may see the kea alpine parrot or the rare blue duck. Some of us just don’t have the time for a “Great Walk”. By time we mean energy. Nevertheless, we can’t miss out on some other excellent features of the Mt Aspiring National Park. A great way to get up close to a glacier in New Zealand without blowing all your money on a helicopter flight is by hiking on the Rob Roy track. 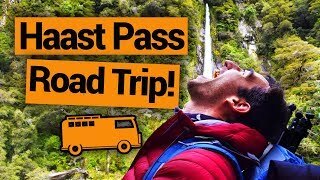 This 3-4 hour return brings you close to sheer rock faces, waterfalls, snowfields, and the Rob Roy Glacier. Start in the Raspberry Flat car park in the Matukituki Valley. The bluest clearest rivers can be found along the road between Wanaka and Haast. If that sounds appealing to you, take the Blue Pools Walk (1 hour return) just above Muddy Creek. Also, for you waterfall fix, stop off at Thunder Creek Falls and Fantail Falls. With many twists and turns, the Matukituki, Makarora and Waiatoto rivers are the perfect place for a jetboat ride. 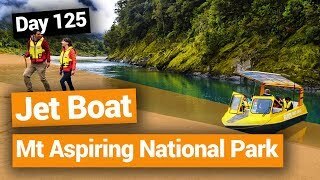 Check out Waiatoto River Safari here. Surround yourself in the Southern Alps scenery, while you learn about the natural and social history of the area. After your glacier-fed river journey, you can choose to hike or go fishing with the activity provider. Take a scenic flight by plane or helicopter as you watch the snowy mountain peaks below. There are a few flight options starting from Wanaka with Aspiring Helicopters. Fly to Milford Sound or the West Coast to encapsulate the view of Mt Aspiring along the way. Or you can even fly the plane yourself! Skydiving in Wanaka is another way of seeing Mt Aspiring from the sky. Flying by helicopter allows you to hover by glaciers and glacial lakes. This is a good option if your budget has no bounds! For a full-on adventure day, try canyoning in the Routeburn Valley. This activity takes you through landscape where The Lord of the Rings was filmed before you descend into the canyon. Be prepared to jump from waterfalls! Book your Routeburn canyoning trip here. Canyoning trips in the Mt Aspiring National Park operate from Queenstown and Wanaka. Mountaineering enthusiasts should try Mt Awful (fun name, right?) and Mt Aspiring. Fish for rainbow and brown trout in the Caple and Greenstone Valleys. You must have a backcountry and whole season licence. Take on the pristine slopes in heli-skiing. 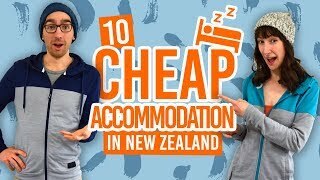 Where to stay near Mt Aspiring National Park?